I know I sound a bit biased when I say this, but I LOVE, LOVE, LOVE FOREVER 21. It's been my most--frequented shopping haunt ever since I discovered stylish, fashion-forward pieces that come in plus-sizes and in a reasonable price range. For someone with my size and height who has been forever "rejected" my local straight-sized shops for being too big, too fat (You don't want to know how many X's there were before the L in the tags), too tall (It was so hard to find pants from local brands that reached beyond my ankles) and just too much of everything, finding a haven of clothes that fit just right is like being asked by the popular group to have you sit with them during lunch. You feel accepted. 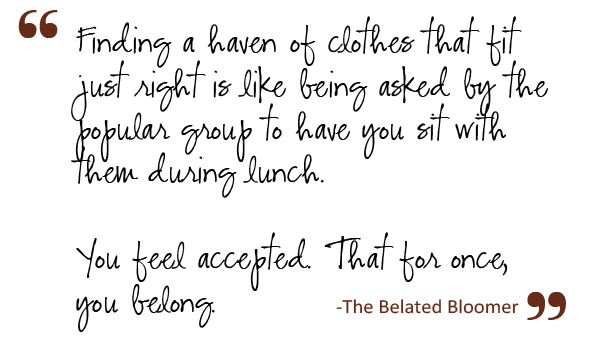 For once, you also belong. Besides my shopping budget suddenly eating up a huge chunk of my credit card's spending allowance, this brand has also fulfilled my shopping fantasies. Now I no longer have to resort to styling my sister with dresses and funky tops I wish I could wear but could never fit into, but I can dress myself up and see that I too can be fashionable and heck, pretty. I can finally, honestly say that "Hey, I don't look bad in this kind of dress pala, or wearing this skirt, or even showing my arms." Sure, I know we should be accepting of our bodies in no matter what size they come in. But a big part of feeling like an outcast and a not-good-enough reject was because the choice of clothes before made us look really bad (Corporate button-down and black slacks were my go-to party outfits during those awkward adolescent years, woudja believe it? Awkward was one thing I and my peers all had to go through, but awful? I think I endured that alone.) and too old before our time. Fact: I wore maternity shorts in grade three because I couldn't find dark blue shorts to wear to a school presentation. For a nine-year-old girl who had to go from store to store asking if they had navy blue shorts and then coming out of each of them empty-handed because nothing could fit her was humiliating beyond words. 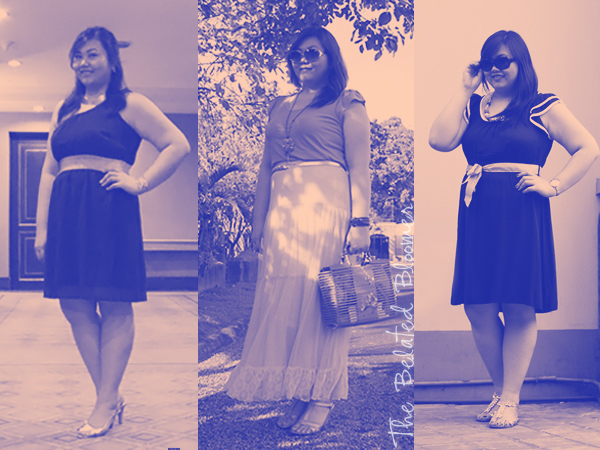 So, thank you Forever 21 for having a Forever 21 Plus and being a forerunner of plus size fashion. That Plus + allowed me and countless other girls to finally shop and strut in confidence. *This is NOT a paid/sponsored post. I def agree with you! forever21 is by far one of the best brand that offers plus size range with affordable pricetag and I love the fact that they put another 'sizing' on the plus size range instead of making XXXXXL. I don't know where you live, but in Europe we also have a brand called New Look, it is basically like forever21 for europe and they also offer plus size range with affordable price. Their skinny jeans are my life saver!!! I think I've been to a New Look store in Singapore a few years back. Didn't take the time to look thoroughly though. Aww, I feel for you! I too had to go through going from store to store looking for stuff to wear. It feels like rejection and more often than not I'd tend to think, bakit ba hindi nalang kasi ako sing payat ng kapatid ko. Thank God for plus size stores like Forever 21 that are fashionable -- because aminin, ang daming plus size diyan na very matronic ang peg! Haha! True. There are still that needs a bit of a fashion makeover. Laos na yang matronic look! I know what you mean. I go in and almost-never go out without a yellow bag in hand. I definitely understand what you are saying! I've been super tall all my life and it was so hard finding things to fit and remain updated. We don't have a F21 store, but I do like shopping it online. I also like ASOS curve. They have a nice selection too. I love your style, think you look great and you're a very stunning girl. Beautiful post! I've also been window-shopping Asos Curve but haven't tried actually purchasing yet. I'm not sure about their sizes and how they'd actually fit me. ladies, i found a new brand at SM dept store that answers to our dilemma. The brand is Jplus. 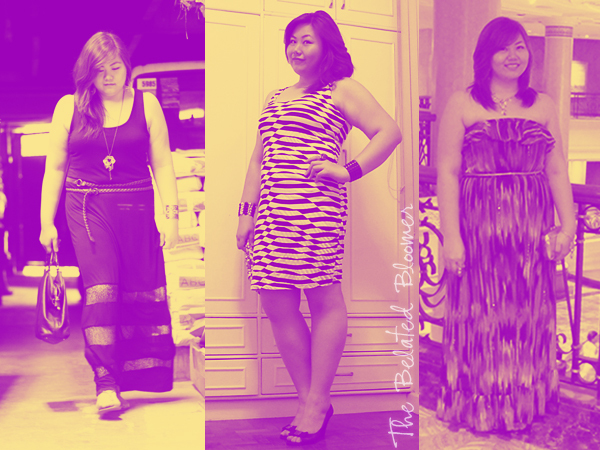 It's really for plus size with wide variety of designs you can choose from. forever21 is a lifesaver. you'll be surprised that some items you've been eyeing turn out to be discounted once you're at the counter paying already. i got a dress there last year for a wedding i attended and since i'm somewhere in between (not plus-sized, not-stick thin either), it was very hard to find a dress that would fit me in other stores. and their shoe selections are fab too! You should, Gellie! It's addicting. Haha! I do understand you...I have such a hard time finding anything that fits...frankly speaking it has put me off shopping. Why is it such a problem for them to make a few extra sizes? for me everything is always too short and I'm not even that tall, a little bit over 5.9ft...how is it for those really tall girls I wonder, where do they find clothes?...and yes it is hard to get anything accross my shoulders...am I the only one that enjoys swimming and I must I pay for it by giving up fitted clothes altogether? Hey dear, I feel sorry hearing your childhood story. But hey, I'm not sorry about how you look now. You are gorgeous and you carry those ensemble in a fantastic way! If you didn't share that story, I wouldn't know you had to go through that. Looking at you now, I actually think you were this fashionable since day 1. I guess everyone has their own story. A bit sharing of mine, I have the opposite problem of yours. Being too skinny as a kid (til now I'm underweight) is another sad story to tell. During my adolescent years, no pants would fit me (or at least my skinny thighs). I even came to a point where even tights and leggings would look loose and too long (I'm 5"nothing now so imagine my height before)! It was awful. Oh well. I have long since learned how to work around that dilemma and I'm thankful that though I might still be short in height now (and forever), I have learned to love the way I am. Good job to you for spotting a brand that matches your need! Thanks for the thoughtful comment. Made me glad I shared my story. I thought I was 5'6" but the last time we measured, it turns out I'm 5'7". If you are petite, expect to have to have dresses bought online fitted, but that would be the only thing, I didn't even need to wear a corset underneath. Where would you recommend for a plus size maong jeans?